Direct impact is operational spending by a business that is done locally, including inventory, utilities, equipment and employee salaries. 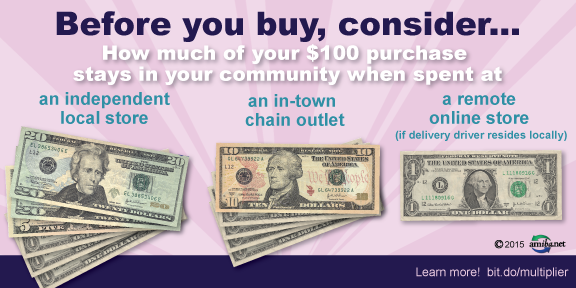 Indirect impact occurs when money spent by these local businesses re-circulates among other local businesses. 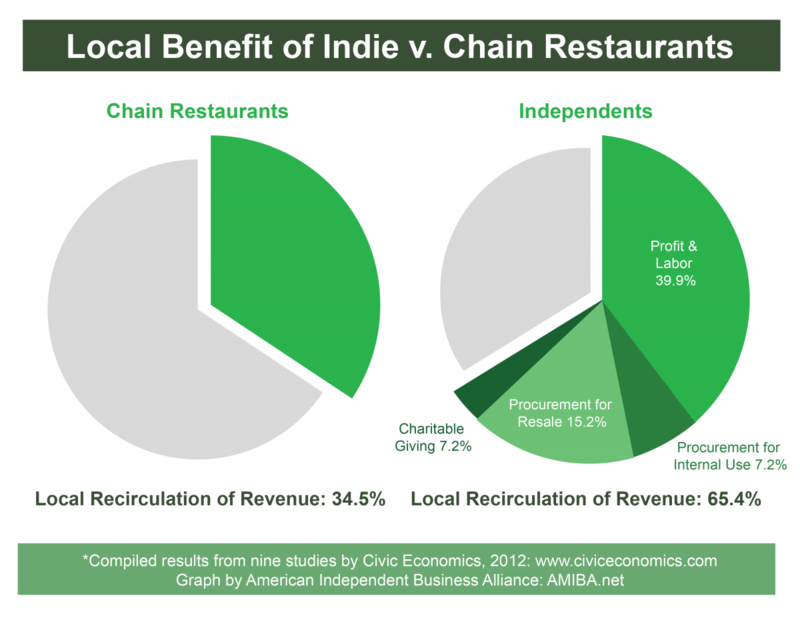 Induced impact refers to additional consumer spending by employees, business owners and others in the local community. Local shops. Take stroll through the aisles of local shops like The Community Store in Saranac Lake. This community-owned store opened its doors in 2011, several years after the town’s only department store closed down. Since then, The Community Store has been providing the department store basics as well as a growing selection of locally made products. 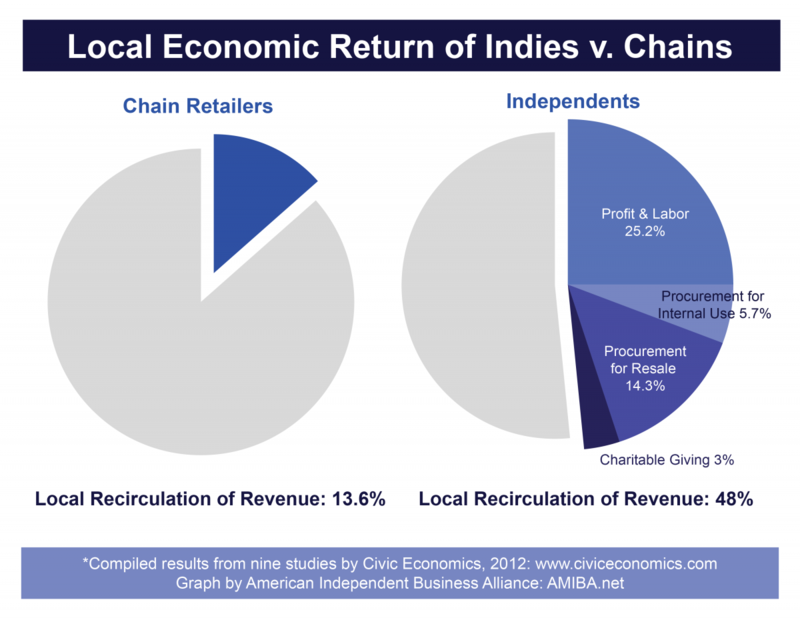 Read more about this unique locally owned, locally inspired marketplace. Local restaurants, coffee shops and bakeries. Treat yourself, your family and your friends to dinner on the town at Morgan & Co. Restaurant in Glens Falls or a relaxing Sunday brunch at The Breakfast Club in Lake Placid. Or purchase a gift certificate for simpler culinary pleasures like a pick-me-up coffee from Adirondack Mountain Coffee in Upper Jay or fresh artisan crackers from Saratoga Crackers of Middle Grove. Local breweries, wineries and distilleries. For that hard-to-shop-for person on your list, how about a gift from Livingoods Restaurant & Brewery whose beer we enjoyed so much Bike the Barns this fall. Grab a growler or a gift certificate at this Peru brewery for the craft beer lovers in your life. 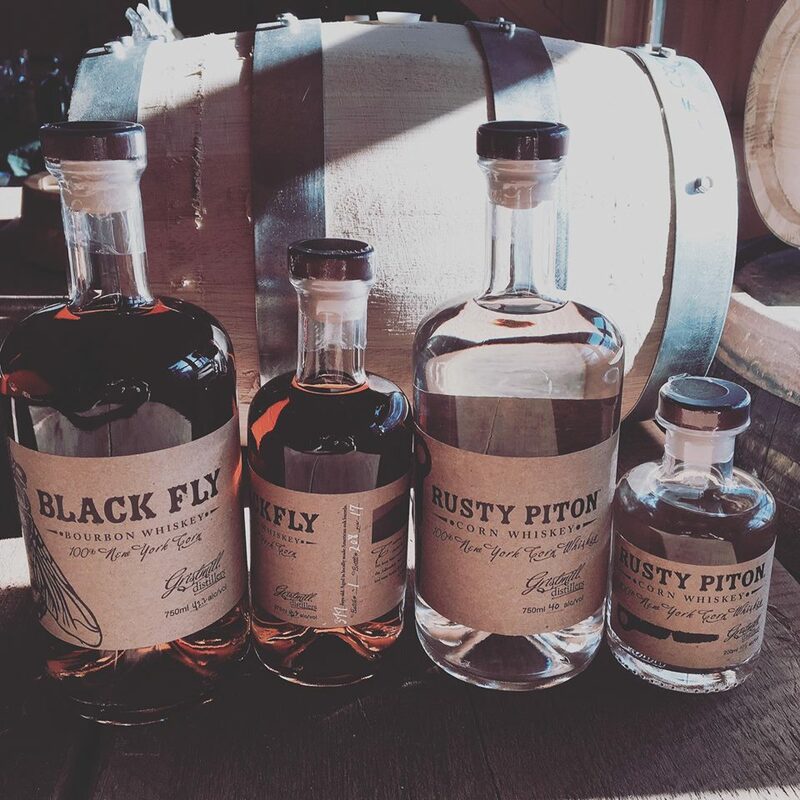 If you’re looking for something with a little more bite, spice up the holidays with Gristmill Distillers in Keene, NY (pictured) for locally sourced, mashed and distilled spirits. Local food. Give the gift of local food from one of the region’s winter farmers markets — like the Snowy Grocery at Sugar House Creamery in Upper Jay. Purchase a CSA share from Juniper Hill Farm in Wadhams or Kent Family Growers in Lisbon. Shop for fresh and value-added local food at local groceries like The Farmacy in Keeseville and the North Country Food Co-op in Potsdam. Or purchase specialty food products directly from local artisans like Small Town Cultures and Barkeater Chocolates. Local culture. Think outside the box with classes, memberships or tickets that promote the arts. Venues like Bluseed Studios in Saranac Lake, The Strand Theatre in Old Forge and Proctors in Schenectady offer local charm and a variety of arts activities. These cultural organizations and opportunities anchor our downtowns, attract visitors and retain a diverse and engaged local population. Local education. 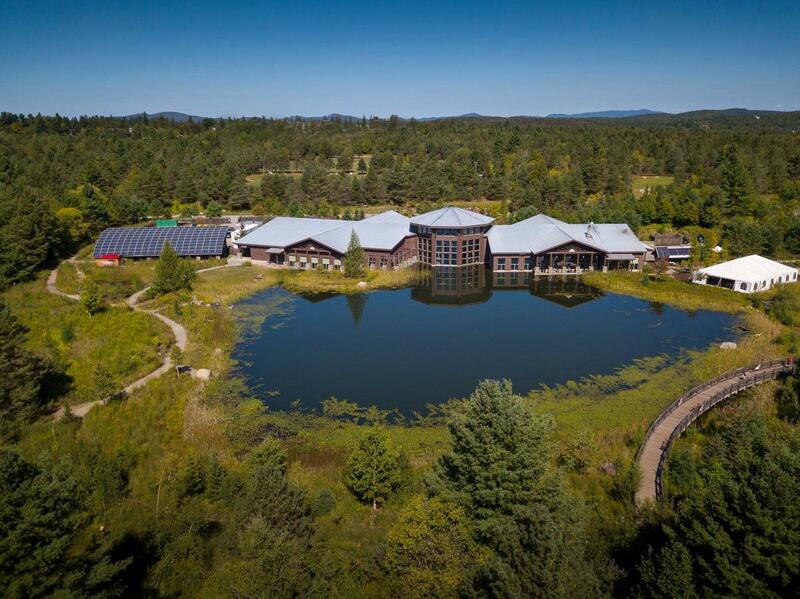 Consider a day pass or a membership one of our region’s museums like The Wild Center in Tupper Lake (pictured) and Adirondack Experience in Blue Mountain Lake. Our museums offer exhibits, speakers and classes that bring the region’s natural and cultural history alive for people of all ages and interests. Local experiences. Get out and enjoy the North Country with a ski pass to Paul Smith’s College VIC, a blacksmithing workshop at the Adirondack Folk School or a poetry course with the Adirondack Center for Writing. Whether you purchase a season’s pass, a single lesson or a weekend retreat, the gift of experiencing the region through movement or craft is priceless. Local lodging. Gift a night or two at your favorite Adirondack North Country getaway. Cozy and classy hotels, motels, cabins and camps abound! Treat yourself or your loved ones to a vacation, staycation or weekend escape at Elk Lake Lodge in North Hudson or the 1000 Islands Harbor Hotel in Clayton. Local literature. The Adirondack North Country is home to a number of magazines, newspapers, journals and authors. Purchase a subscription to your local newspaper or a regional magazine like Adirondack Life and Adirondack Explorer. Stuff your stockings with local reads like Blacks in the Adirondacks by Sally Svenson and Our Towns by Adirondack Life. Stop in at your local bookstore and browse! Local holiday markets. There are lots of holiday fairs and pop-up markets taking place around the region like the yearly Croghan Christmas Market in Croghan and the Annual Holiday Market in Essex. Check in with your chamber of commerce to find markets that are happening in your area. Local engagement. Remember the local nonprofits and charities that are near and dear to your heart. Organizations like The Community Foundation of Herkimer and Oneida Counties and Adirondack Harvest are doing good things in our region. This holiday season, consider a tax-deductible gift to a local organization on behalf of your loved ones or yourself.